"Stonetree Landscapes provided a professional service from the outset. 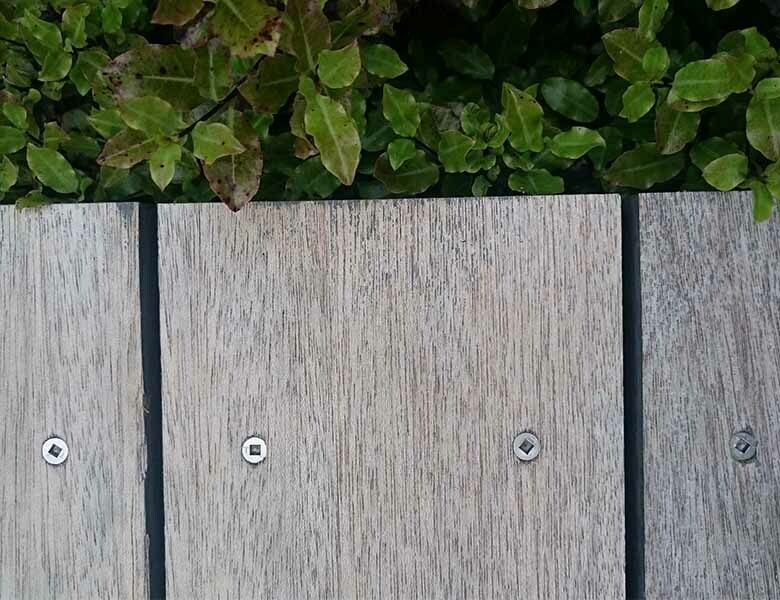 They demonstrated a high level of workmanship and attention to detail in the design and build of our new hardwood deck. 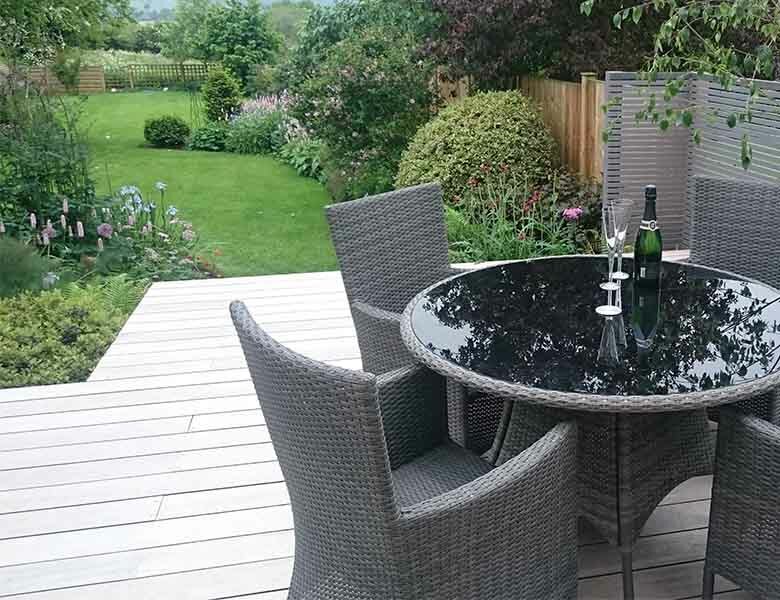 Highly recommended"
Located in the village of Upper Broughton, in Nottinghamshire between Melton and Nottingham, we were involved with replacing our clients existing softwood decking with Meranti Hardwood Decking, and lining one side with slatted fencing. This house opens its south facing rear doors to an elongated garden, overlooking rolling hills and the Nottinghamshire countryside. The existing decking spanned out from the house and stepped down to the lawn, and was in much need of replacement. The fence panels to one side of the decking were due to be replaced too. 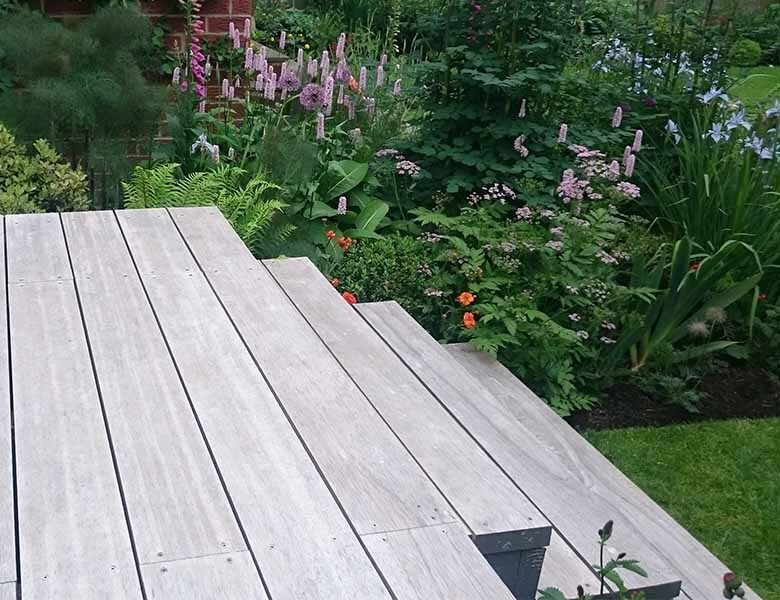 Our client had already purchased the majority of the decking boards, which were made from 40mm thick Meranti Hardwood. 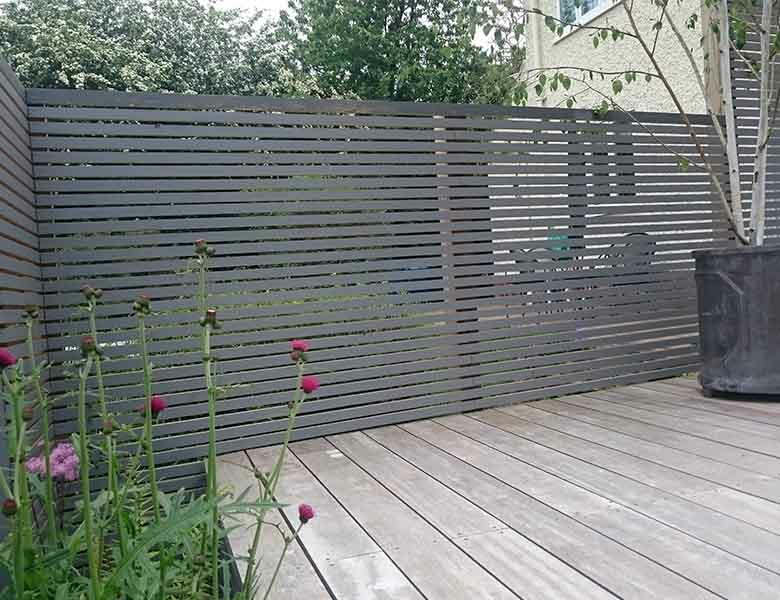 We sourced the shortfall of Meranti decking from Lathams, and decided on a slatted fence to replace the old fence panels alongside the decking. To soften the transition between the house and the decking, we set the new deck level to match the internal floor levels as much as possible. 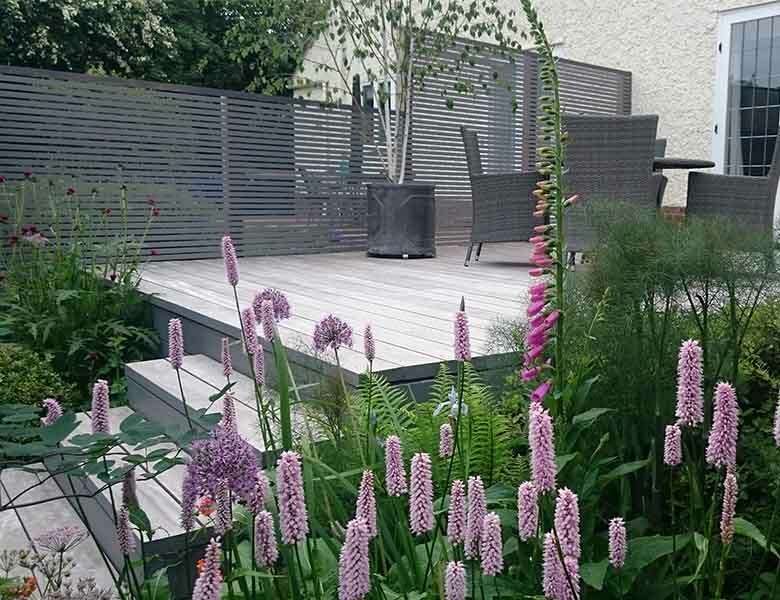 We also formed a return on the slatted fence to help enclose the decking area and give the feeling of the space being its own room. The steps were formed with Meranti too and are centered on the approaching strip of lawn. The area of decking was also increased to give more space for our clients to host their parties. The end result is a box of Meranti Hardwood decking with 1.3m wide steps falling to the lawn. The box is enclosed within a timber slatted fence and white rendered walls to form another room that transitions smoothly from the inside. The level thresholds help to make the decking more accessible from the house, inviting you to enjoy the outside. The sun penetrates through the slatted fence in the evenings to cast warm lines across the deck. Posted in decking, portfolio and tagged deck, decking, eating, hardwood, meranti, relaxation, steps, timber.